Many countries in Europe have been debating banning burqas and niqabs, and now the debate has made its way to Australia. 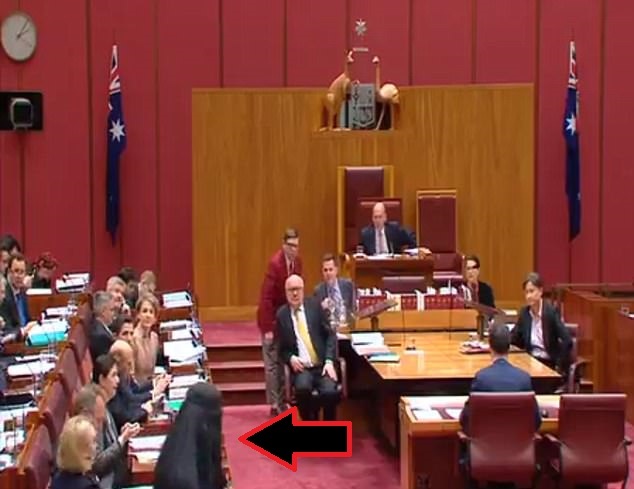 Queensland Senator Pauline Hanson addressed the Australian parliament on the issue and did something to make sure her point got across: she walked in wearing a burqa. Hanson has openly expressed her opposition to burqas and has called for the Australian government to ban the Islamic robes, which fully cover a woman’s face. Hanson calls them “oppressive” and made her point by wearing a burqa to a debate on the issue. Do you agree with banning burqas?